Compressed system systems in industrial and facilities are generally designed for pressure of 90 to 100 psig. However, some special application such as moulding, printing and leak testing require higher pressures. 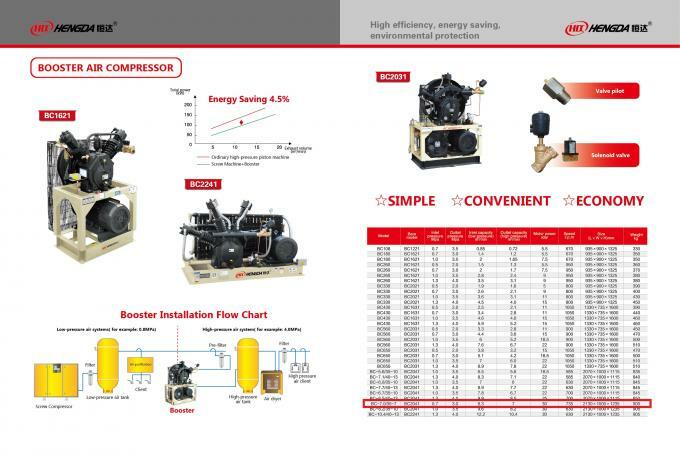 Hengda Booster compressor increase air system pressure to a working pressure of 580 psig and to a maximum of 650 psig. These reliable units are compact, quiet, and offer an economical alternative to designing the main compressed air system for high pressure. 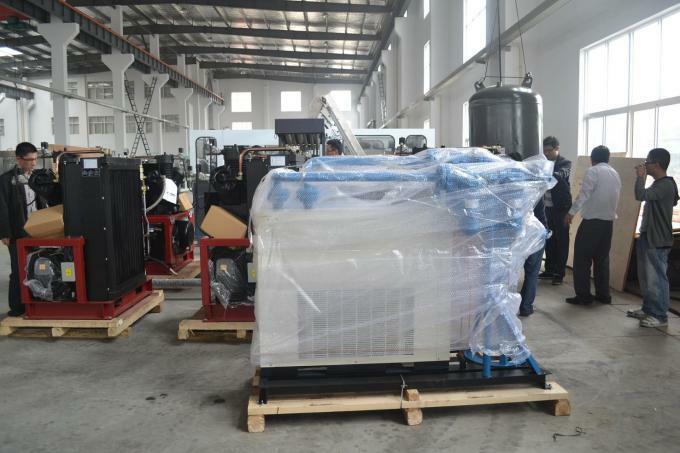 Now you simply install a Hengda Booster Compressor to increase the pressure of existing compressed air where it is needed. Compressed air from the main air system is piped to the booster. Using precompressed air is more economical than starting with ambient air. 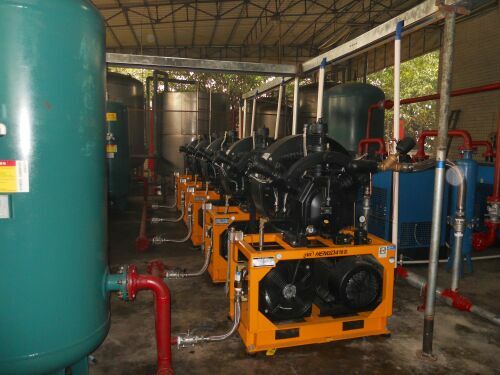 With high volumetric efficiency, the booster compresses to the desired pressure. This single-stage system is ideal and economical for many applications when only a moderate amount of high pressure plant air is required.